The hotel CabInn can be reached by public transpor on bus no.2 (direction Aalborg)or taxi. Bus stop is located under the flag at the main airport entrance. 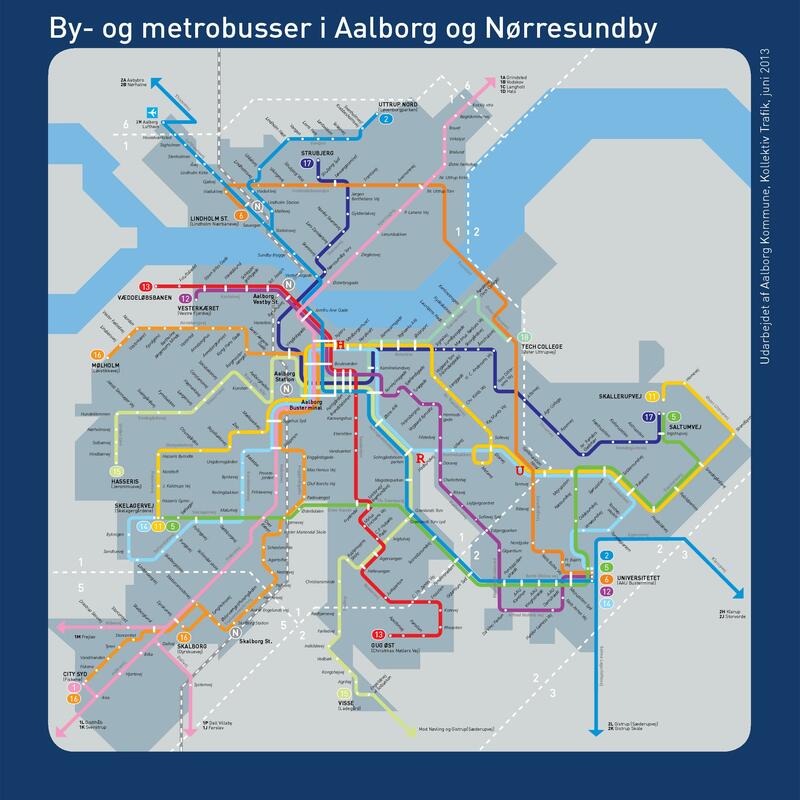 You take the bus no.2 direction Aalborg till the stop called "Nytorv"(sounds like "New Torv"). You can expect riding time around 15 min.The price is 20 kr that should be paid in cash to the driver (youenter the front door and pay while boarding the bus). The hotel is 5 min walk from the Nytorv bus stop. Registration and welcome party will take place at the University, Department Physics and Nanotechnology. It can be reached by buses nos. 11 and 14 from Nytorv. Price is 20 kr. Riding time 15-20 min till stop"Gjellerupstien". Local transportation map can be found here. Letters H, U, R denote locations of the conference Hotel, venue(University) and Restaurant.